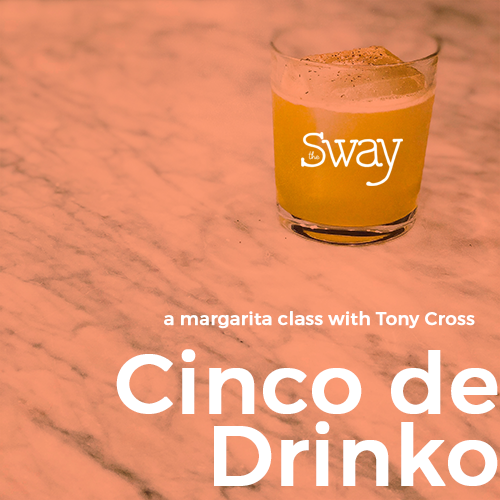 Join the SWAY and Tony Cross of Reverie Cocktails for a pre-Cinco de Mayo celebration! Learn how to perfect the margarita while enjoying one of Tony's Paloma drinks and snacking on fiesta snacks provided by Nature's Own! Class will start at 7:15 and will include drink, demo, and light bites!